The above chesstable and chairs are the pride and joy of our company's president, DennisZongker. This table took "Honorable Mention" in a national furnituredesign contest. 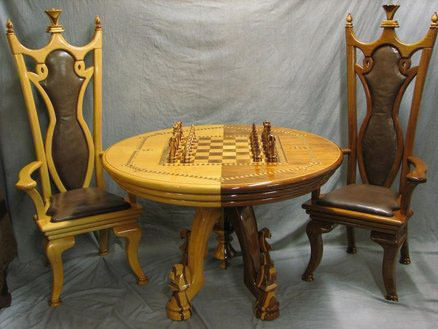 We proudly display this unique chess table in ourshowroom.....stop by and see it for yourself. 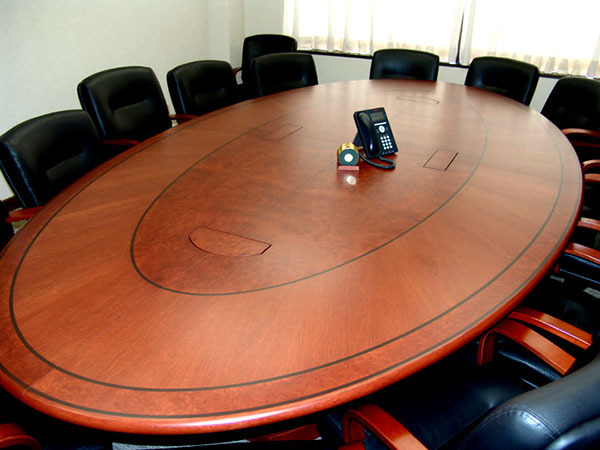 This ExecutiveBoardroom table boast many refined features. A true elliptical shaped tablewith veneer parquetry of maple burls, quartered cherry and flat cut cherry. Pinstriped with solid ebony hardwood. The veneer is applied in a starburst patternto enhance the unique shape of the table. The base, also an elliptical shape,encloses all wire management with easy access panels on either end and hiddencastors for ease of moving the table when needed. The power supplies within thetop are custom made with matching materials, and houses 110v outlets and RJ45data ports for laptop connections. The table is 84” x 150” and seats 14comfortably. Truly a unique and exquisite boardroom table. 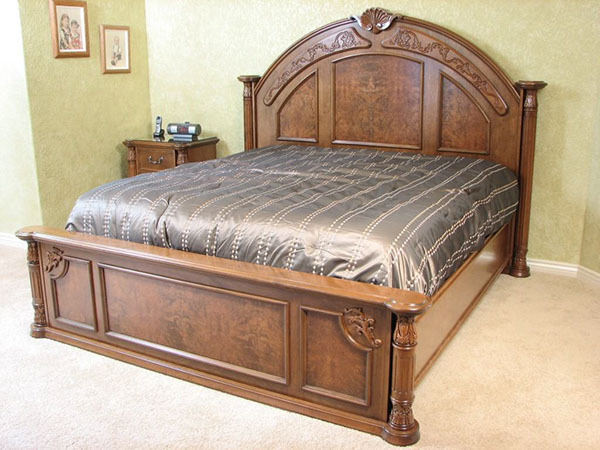 Joint Brothers Venture....This beautiful original design Kingsize bed. Dan Zongker, met with the customer anddesigned three pieces of furniture for their bedroom, a bed, dresser, andnightstand. The customer was looking for something traditional with carving andsome kind of burl veneer. The design he came up with was a style that is named for England’s QueenVictoria, who reigned from 1837 to 1901. This was a style applied to Englishand American furniture of that time. This style of furniture elaborates onRococo and Louis XV style, with exaggerated curves and size, lush upholstery,and carvings. This 18th Century traditional design gives this bedroom set anexquisite look, which complement both elegance and grace. 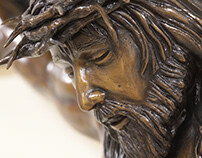 Dennis Zongker then engineered the pieces on AutoCAD, except for the carvings,which he drew free hand. He did all the carving by hand. The bedroom set ismade out of solid cherry and cherry veneer core plywood, Maple Burl Veneer. Thecrown molding I cut 16 layers of 1/8” solid cherry then glued them together ona radius template to equal the 1 3/4” thickness. One of the things Dennis enjoyed was making the radius crown moldings andfitting the center fan carving with the scrolls to the radius crown. He had tocope the inside top edge of the crown to match the radius of the scrolls.Dennis worked on this set for three months. Nothing better than working or relaxing in the comfort of your own home. Whether it be a good book in your library, or working in your homeoffice. 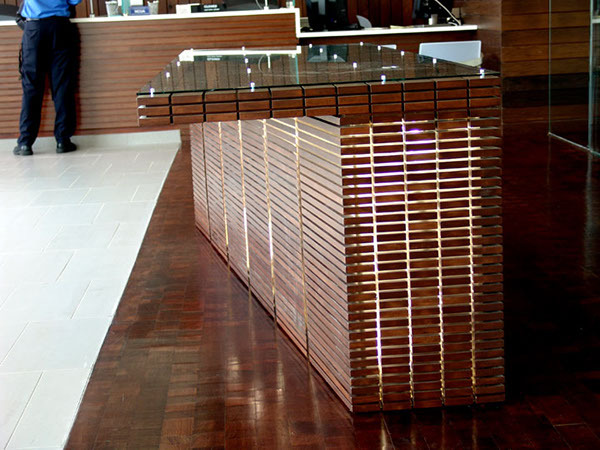 Custom furniture not only provides the elegance and design youacquire, but also the function. 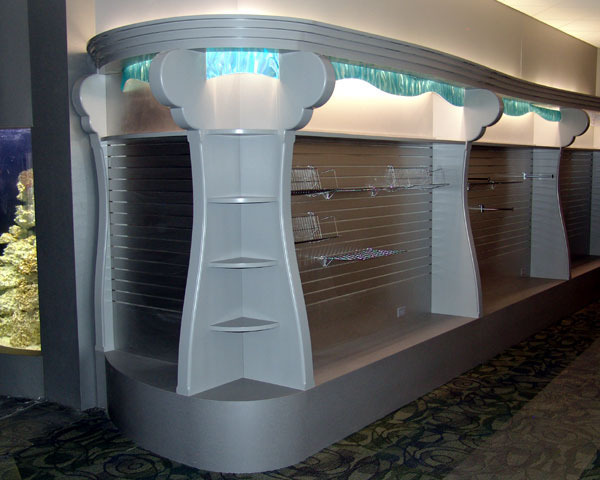 Simulating ocean waves and water, the display cases and sales counter are constructed with a large array of special materials and unique features. Each section had to be precisely engineered and fabricated to fit perfectly against radius and angled walls. Creating an overall flow representing water cascading throughout the facility. A very difficult project to fabricate but extremely rewarding when completed. A must see during your next visit to the zoo! This beautiful sitting room piece isconstructed of premium cherry. Accented with carved corbels and mouldings, acurved center section, maple burls on the door center panels and bonnet, carvedrosettes on hidden drawers and upper display areas compliment this magnificent piece. The center bonnet carving isoriginal artwork and hand carved. Ourclients own a beautiful horse ranch, and wanted a Cowboy Bed representing thehorse stable columns and detailing. We designed this unique and beautiful kingsize bed with all the details and an electronic lift within the footboard forup to a 50” TV…..a 40” was used within the bed. Complete with custom handforged ironwork, hand carved corbels, rustic knotty alder hardwoods, andcaptains drawers for additional storage. the sanctuary stage. 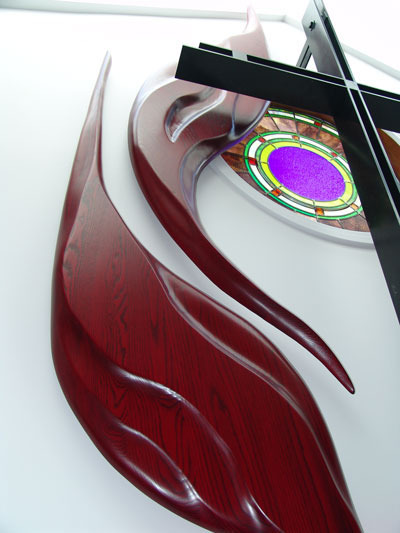 Constructed of solid red oakhardwoods, the overall sizes of the flames are 3” thick by 48”wide and 168”long. The oak was glued together at different angles, to create a unique woodgrain appearance. Hand shaping and carved using a power grinder to createthe flame motif a powerful and beautiful presentation. Old worldcraftsmanship at its finest. This custom designed table brings back theintegrity of ancient charm and detailing. Constructed of northern maplehardwoods, with unique joinery and curvatures. Aged and distressed with aweathered patina finish. With some creative engineering, we designed thispiece with 792 individual pieces of wood with a ¼” spacing, a clear acrylicinternal structure and a hidden access panel for electrical and maintenance.The wood is stained to match the flooring and engineered to align with theflooring. Creating the appearance of the floor being pushed upwards. 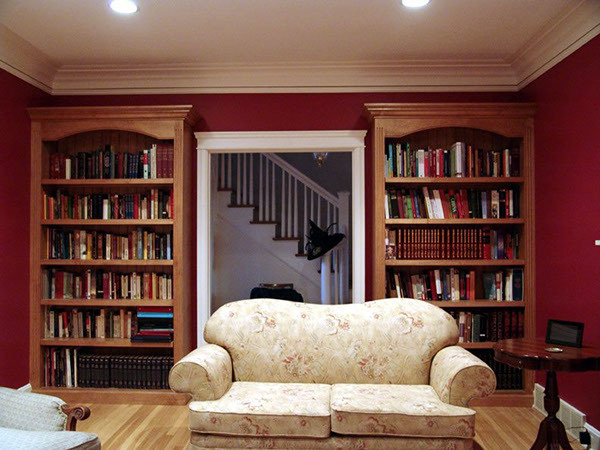 This media center is designed to accommodate our customer’s large vinyl collection. With a mixture of radius and angles the media center design is artwork in itself. The unit boasts heavy duty shelves for albums, turn-table and equipment shelves with radius edges, and pull-out CD tracks. This same design could be created at a different scale to wrap a flat screen TV on the wall and all your equipment. This unique round kitchen table boasts “Old World Charm”!The center pedestal is hand turned on the lathe, and allows for plenty of legroom and seating around the table. The table top and pedestal base areconstructed entirely of solid maple hardwoods, with a custom 2-color distressedfinish to give that antique charm. This "eat-in" style kitchen was constructed ofpremium grade cherry hardwoods. Designed with the cook in mind, the kitchen iswell laid out for function, and appearance. Details such as crown mouldingswith dentil detailing, solid hardwood drawers with dovetailed joinery, solidsurface countertops, new hardwood floors and wall tile. Here at Zongkers, we are always busy on new and exciting projects. Our website is currently updated with many projects ….take a peek!